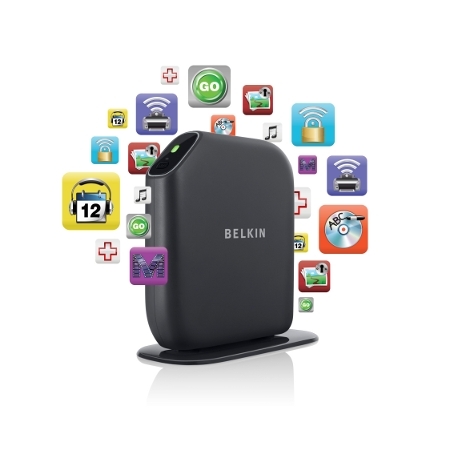 Belkin is an old hand when it comes to wireless devices as well as other computing peripherals, and this time round they have a new range of 802.11n wireless routers for you to choose from, basically with a handful of models to suit just about any needs there are out there. These new wireless routers feature fun and powerful applications, and comprise of the Surf, Share, Play, and Play Max Wireless Routers which will allow you to play music, games, and HD videos while sharing photos and enable wireless printing from just about anywhere in your home. Logitech doesn’t just make speakers and mice, you know. The computer peripheral company also has interests in other devices such as webcams as well as remote controls, and they have come up with some pretty interesting devices from both camps in the past. Well, today is another of such moments when Logitech has rolled out their Harmony 300 remote control which is touted to be the most basic model from them just yet. After all, it is a snap to set up (at least according to Logitech), and can replace up to four other remotes in your house in order to provide you with a much better control over other devices connected to your TV with but a single button press. Once again, someone has imitated the futuristic science of Minority Report to create a gesture-based computer. 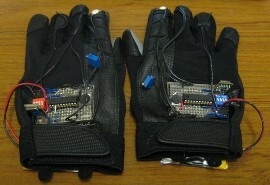 In this case, these developers from MIT decided to use black gloves, similar to the ones that Tom Cruise wore at the beginning of the film. You can see the video of the Glove Mouse after the jump. According to the vid, it took less than $100 of technology in order to make the Glove Mouse work. It has an LED on the back of the index finger, then a low resolution webcam to make it act as a cursor. I suppose that all of us don’t like to be away from our e-mail for a prolonged period of time, myself included. However, if I just knew that I didn’t have a lot of e-mails to check, I might be able to enjoy my time away from my computer. As you can probably tell from this photo, this is a DIY project. Chris and Madeline Ball posted their work on the MAKE website, and have succeeded in their quest of showing the world just how much email that the wearer is getting. There is a video after the jump so you can see how it works. 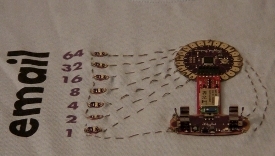 You can see that it uses an Arduino Lilypad controller, connected to an Android device, which wirelessly syncs with a computer to light up how many emails that you have. I recently had my mouth examined by a dentist, and I was fortunate to get one with years of experience. I always wondered who are the patients for the starting dentist. Fortunately, the dentist-in-training will have more at his disposal than a frightened grin with this 5-foot tall Japanese robot developed by Showa University and robot maker Tmsuk. 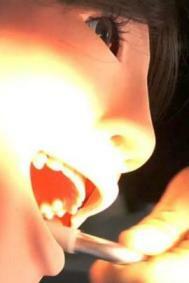 This robot, named Hanako Showa, has very realistic movements of its eyes, head, and tongue. It even has a place for saliva, so its mouth will have to be sucked out just like a real patient. Hanako can also behave in a realistic way such as saying “Ouch! It hurts!” and turning its head. I can only assume that the novice dentist must apply some fake Novocaine. Then the dentist can ask the patient “are you OK?” I am assuming the robot will respond affirmatively if you’re doing it right. Opinions tend to strongly vary when it comes to electronic devices trying to mimic candles. Sure, we’ve all but replaced them when it comes to our main source of light, but they’re still frequently used to freshen up your house or to cast a little mood lighting. 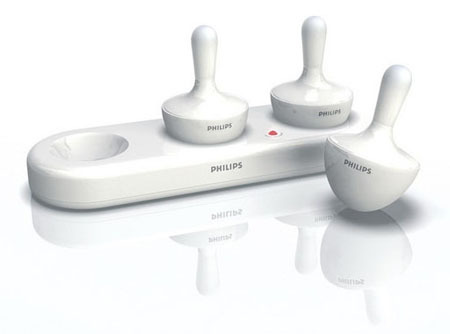 Well Philips is making another attempt to replace those candles in one other area. Instead of floating candles in a pretty bowl or your pool, you can use this set of lights. Everyone has had those moments when they’re so absorbed in what they’re doing on the computer they’ll occasionally forget to get up and move around. That also means they may forget about that nice cold drink that was sitting on their desk. Instead of letting it get hot while you’re in the middle of something, you could pick up this beverage chiller meant to sit right next to your computer at all times of the day or even the night. There are just some gadgets that get neglected in the battery department. Usually I’ll do as much as I possibly can to squeeze that last drop of power out of the batteries before I’ll go in search of more. When you’re typically using a remote, you’re all settled into the couch to relax, which makes the idea of getting up to search for batteries rather unappealing. Instead you could pick up one of these solar powered remote controls and never have that concern again.